Perioperative Statin Use in Noncardiac Surgery: Who and When? 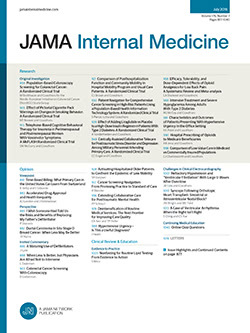 Postoperative morbidity and mortality account for billions of dollars in health care expenditure and millions of additional patient days in the hospital.1 Use of hydroxymethyl glutaryl coenzyme A reductase inhibitors (statins) in the perioperative period offers beneficial effects beyond those afforded by lowering of lipid levels. It is hypothesized that the pleiotropic effects of statins, which can alter endothelial function and decrease inflammation, may be the driver for the beneficial effects of statins in patients who have undergone surgery.2,3 For a variety of reasons not limited to controversy over the academic integrity of randomized clinical trials of perioperative statins (DECRASE [Dutch Echocardiographic Cardiac Risk Evaluation Applying Stress Echocardiography] III and IV) as well as the reliance on retrospective data for the beneficial effects of perioperative statins, the routine use of perioperative statins to decrease complications remains an area of clinical equipoise.4,5 In addition, the optimal timing of statin therapy initiation and the duration of statin exposure before surgery is not well characterized.